Do you have NXT in your account? The error message "Unknown account". The account should have NXT to be able to mint. EGOLD - first mintable ASIC resistant Keccak25 coin. Converting electric power to value! I have 24 nxt. That not enough? Thanks for thought! I will try to send some nxt to another accout and i will write the result here. I tried. Dont work. My outgoing transaction have 11 confirmations. Maybe not enough confirmations? Any chance to automatically stop the minting after finding 1 solution ? I have tried some mintable coins, some of them are crashing into a new limitation of NRS 1.4.8 - "duplicate unconfirmed transaction", even when setting the number of units to the max (1/10000) of supply. Avast is blocking some java function for me. (links below) Would this be the reason why I'm having so much trouble minting? 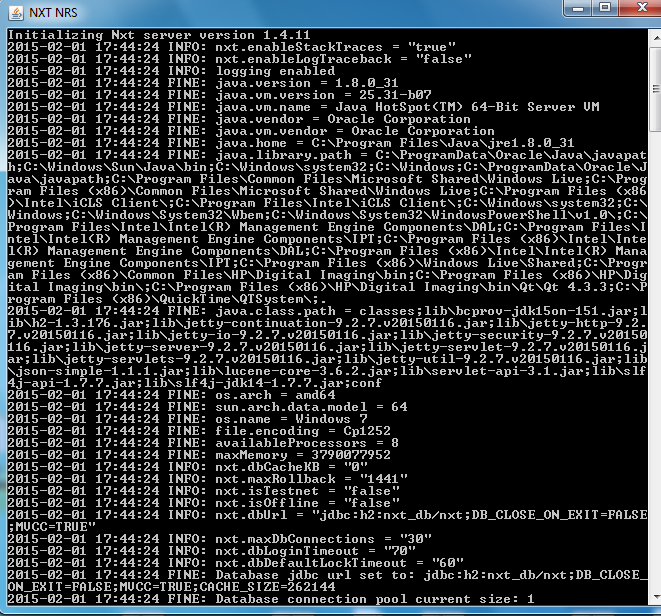 Ive read all the posts here and the commandline opens runs some lines really fast and closes. Im able to catch a glimpse of something about exception java lang.long. If avast is the problem is there a way around this? First off sorry for the gibberish post above. 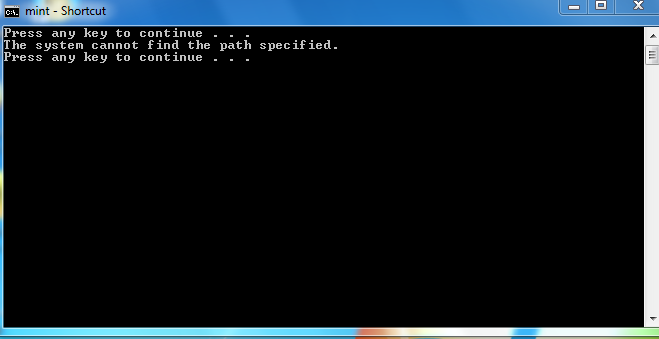 I now have the proper error text from the command prompt. 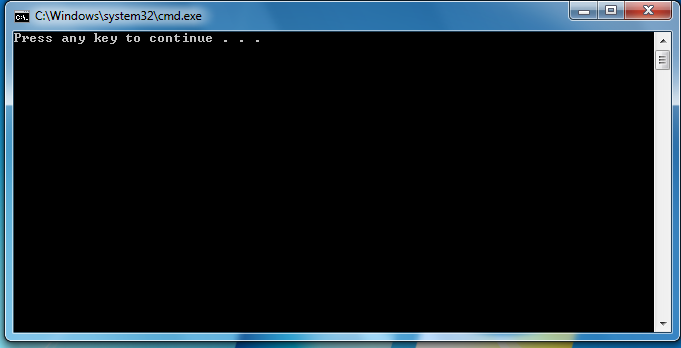 I'm now minting on windows 7. 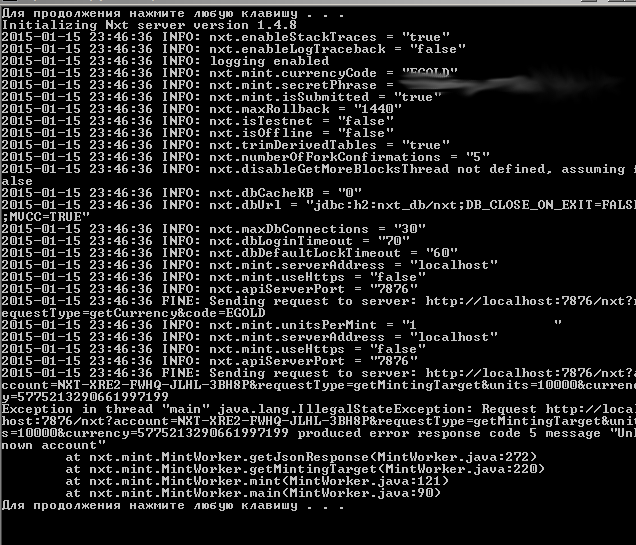 I upgraded from java 8 and done a clean install of NXT. I'm not sure what fixed it but there ya go. Have a happy day. My os is windows 7 professional 64 bit. Maybe your file is named nxt.properties.properties instead of nxt.properties? Would like an answer for this also, as I am having the same problem. 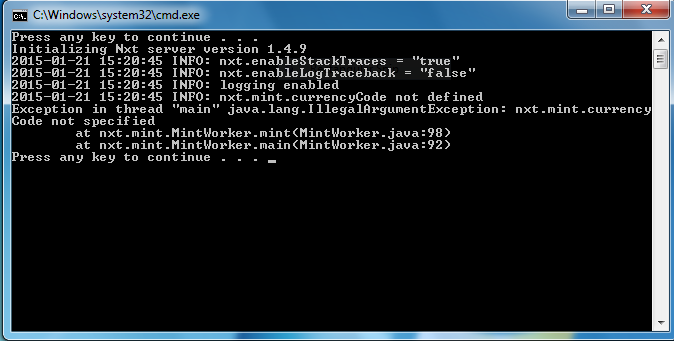 EDIT: Discovered you have to change the Java version in run and mint to whatever you have installed. Your DOS window indicates you are using a shortcut to the mint.bat file. The system can't find the mint.bat file from this shortcut. Make sure you are running that file and that your shortcut paths are correct. Your Java in mint and run needs to be changed from 7 to 8 version 31. ECHO Java software not found on your system. Please go to http://java.com/en/ to download a copy of Java. What else though is needed? i am unable to do it getting secret phrase not specified invalid even tho it is. so i got the passphraze working but when i run bat file it works for 2-3 second then some error n closse quickly.